The continued persecution of whistleblowers by agents of state is threatening the effectiveness of the whistleblower policy introduced by the government to curb endemic corruption in the Nigeria, reports ITRealms. 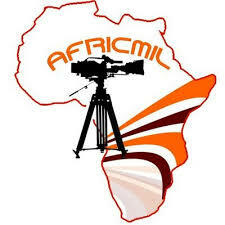 Coordinator, African Centre for Media and Information Literacy (AFRICMIL), Chido Onumah, stated this in a press statement released on Wednesday. He said at least two whistleblowers in the public service that were unjustly sacked for exposing financial fraud and subsequently recalled are currently going through a fresh round of victimization in form of withheld salaries. He noted that abominable reprisals are continually being visited on whistleblowers in a manner that endangers whistleblowing as a tool for reducing corruption in the country. Mr. Onumah said Ntia Thompson, an Assistant Director in the SERVICOM unit of the Department of Technical Cooperation in Africa, an agency of the Ministry of Foreign Affairs, who later sought transfer to the Ministry of Budget and National Planning and Aaron Kaase of the Press Unit of the Police Service Commission have been denied their salaries and allowances since their reinstatement. For instance, said the statement, “As soon as Thompson who was sacked in December 2016 for reporting fraud totalling $229,000 was reinstated in July 2017, he was redeployed to the library just to frustrate him. The emotional setback resulting from that made him ask for transfer to another government office. As we speak, he has yet to be paid seven months’ salary, from the December 2016 to July 2017. The statement added that besides being denied his entitlements, Kaase is also being harassed with a trumped-up charge of visa scam wherein he is being falsely accused of collecting N1 million to procure US visa for somebody but failed to do so. “Clearly, this allegation was manufactured by those whom he had accused of fraud so as to intimidate and shut him up.” Mr Onumah said, “Although two different courts have discharged and acquitted Kaase for “lack of diligent prosecution and lack of evidence to prosecute the case, respectively, his tormentors have refused to back off”. He said if the unfortunate development was not quickly checked whistleblowing would suffer, and this would badly affect the anti-corruption war. To save the situation, the statement urged prompt intervention of the Attorney General of the Federation and Minister of Justice, Abubakar Malami, “to rescue the patriotic Nigerians and save the lofty policy”. The organisation also urged the Economic and Financial Crimes Commission (EFCC) to expedite action on the allegations raised by the two whistleblowers.